"Live Life On Your Own Terms"
Being severely injured can turn your life upside down and it may force you to have to relearn how to live and how to do even the most basic things. It can be a difficult journey going back to a normal life after an injury, but Road to Recovery Physical and Occupational Therapy is dedicated to helping you get your life back on track. 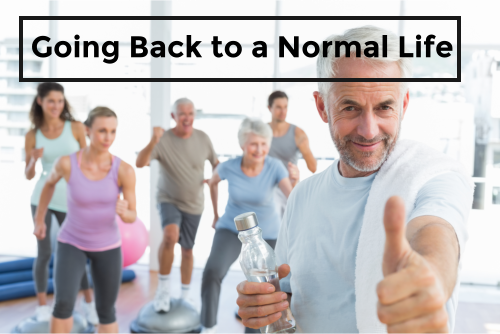 What can we do to make sure that you are able to get back to living a normal life? One way we are able to assist you is through our occupational therapy in New York. How can occupational therapy help? Well, there are a number of ways this form of therapy can prove to be beneficial to you. Relearning the Basics: The main purpose of occupational therapy is to help you relearn the basics. We focus on getting you to learn the skills you need to live a normal life or to simply get back to work. This can include walking, using your hands, using tools, and everything else that you need to do on a daily basis just to live life. This can be a difficult struggle both physically and emotionally, but we will be there with you every single step of the way. You do not have to go through this fight alone. Going Back to Work: After a serious injury that has left you in need of occupational therapy, it always tough to get back to work and to get back into your old routine. Not only because you have not been working for a while but because you may not have the ability to work. It is our job to help you relearn the skills you need to continue doing your job effectively once again. After all, it is important to get back to work, just so you are able to put food on the table! There is no doubt that recovering from an injury and trying to go back to a normal life can be a challenge, but it is a challenge that you do not have to go through alone. For more information on services or if you would like to learn more about our physical therapy in New York please do not hesitate to check out our website at www.b2hpt.com for more information. You can also reach us at 718-488-7272 if you have any questions that you would like to ask. Allow us to help you get your life back on track. This entry was posted in Occupational Therapy, Physical Therapy, Road to Recovery and tagged back pain, Finding Your Independence, fractures, injuries, Physical Therapy, sports injuries, stroke. Bookmark the permalink.